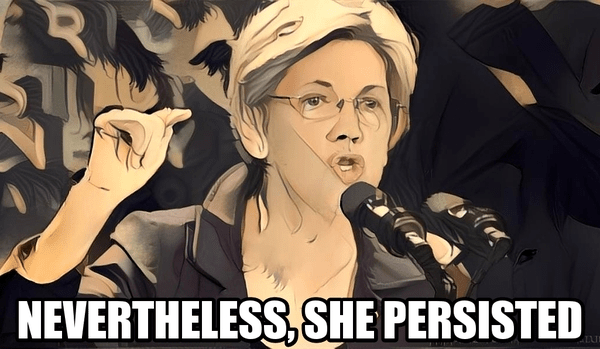 So, as you may have heard, Senate Republicans voted to shut down a speech by Senator Elizabeth Warren last night, using an old and generally unenforced rule banning Senators from impugning one another on the Senate floor. That last phrase stuck in the minds of many of those who heard it, some of whom started using the hashtag #ThePersistence alongside the standard #TheResistance; others adopted the simple #LetLizSpeak. All of which is a long preface to saying: CALL YOUR SENATORS ABOUT JEFF SESSIONS. And maybe mention the silencing of Elizabeth Warren while you’re at it. If your senator was one of the 49 Republicans who voted to shut her down, maybe share your thoughts on that as well. Get your Senators’ phone number (and some suggestions of other issues to call about) on 5Calls. See my posts here and here for information and advice on how to make your calls and emails effective. If making these sorts of calls is tough for you, here’s some advice on calling politicians if you have social anxiety. But emails are also fine. Resistance is a good start. But persistence is what gets things done. or Oh My God! The son.